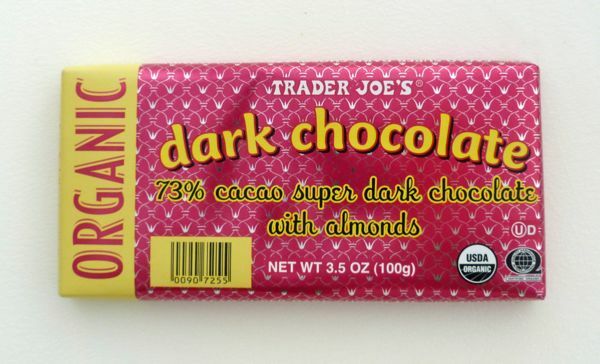 Today's 73% Cacao Super Dark Chocolate with Almonds bar from Trader Joe's (Monrovia, CA) was, dark and rich, with a mild earthy, acidic fruit tang, and full of embedded almond bits on the inside that added some balance and texture to the "super dark" chocolate. 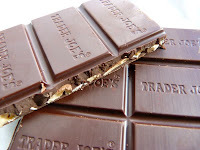 The bar was relatively thick, but scored into twelve, nicely sized rectangular pieces, making it convenient for sharing with others, or rationing for snacks. 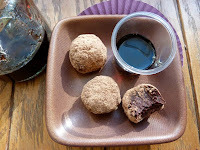 My homebrew creme de cassis liqueur mixed with the dark chocolate leftovers resulted in good truffles, but with a somewhat bitter fruit note. 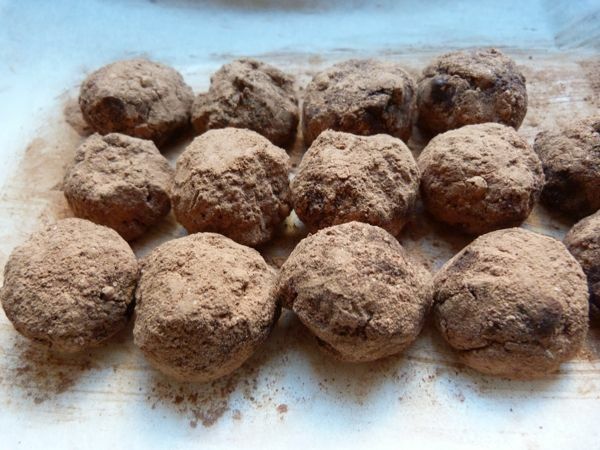 Admittedly, there were a lot of different tastes interacting in this truffle batch, as I'd experimented with adding some coconut oil along with the butter, and a bit of vanilla hemp milk in addition to the cream. Once again: mad scientistry yielded uneven results. Next time I'll try a more conventional batch of truffles with just a hint of cinnamon and brandy, and enjoy a kir royale on the side -- perhaps for New Year's Eve tomorrow evening. 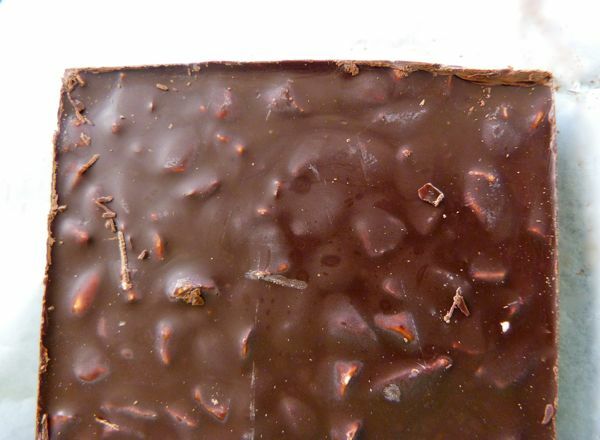 Today was Day #8 of Chocolate and Almonds Theme Week, and Day #3 of Chocolate and Currants Theme Week.